You may find yourself covering your smile more than you show it, or trying to avoid smiling in pictures or around people in social situations. This can be psychologically stressful, just as you may feel physical pain when you smile. If chipped, discolored or crooked teeth are keeping you from smiling, there are plenty of ways you can fix your smile with the help of a West Hollywood cosmetic dentist. One of the most popular means of smile correction for adult patients is porcelain dental veneers. Through porcelain dental veneers you could regain the freedom to smile whenever you feel like it. Porcelain veneers and thin porcelain pieces designed to look like your natural tooth surfaces. These porcelain pieces fit over the front of your teeth to improve your smile's shape and luster. Although veneers are quite thin, they are very strong and can last many years. Porcelain veneers are installed after your teeth are prepared by the West Hollywood cosmetic dentist. The dentist first removes around one millimeter of enamel from your teeth's surfaces. The dentist then makes an impression of your mouth to create a mold. The mold is sent to a specialized dental laboratory where your porcelain veneers are crafted specifically for your teeth. When your porcelain veneers are ready, you will be contacted for a second appointment with the cosmetic dentist. In that appointment you will have your porcelain veneers bonded onto your teeth using a special dental cement. Porcelain veneers provide an excellent option for smile rejuvenation. If your teeth are chipped, discolored, decayed or misshapen, you are likely a good candidate for porcelain veneers. They can also fix your smile if you are bothered by a gap between your front teeth, tooth crowding or bite issues. Of course, your West Hollywood Holistic and Cosmetic Dental Care cosmetic dentist will be pleased to speak with you regarding porcelain veneers and how they may or may not be the right solution for your most beautiful smile. Beyond having the best possible smile, porcelain veneers provide other value for patients like you. When you have porcelain veneers, you lose very little tooth structure in the process of preparation of your teeth and installation of the veneers. You may not even need anesthesia, or only little anesthesia for your treatment. Because these veneers are made of porcelain, they are extremely resistant to stains from tea, coffee, wine and other foods that stain natural teeth. If you clench or grind your teeth, you are likely not a good candidate for veneers. This is because the porcelain veneers may chip or break when you grind them. To enable you to receive porcelain veneers, the dentist may be able to provide a plastic night guard for protection of your bite as you sleep. It is extremely important to realize that your decision to have porcelain veneers is a permanent choice. Even though your cosmetic dentist in West Hollywood will remove as little tooth enamel as possible, that process of enamel removal cannot be undone. Porcelain veneers require some maintenance, just like natural tooth surfaces. It is possible for them to become loose over the years. At those times, you may need new veneers to replace one or more failing existing ones. You should always discuss the decision to have porcelain veneers with your trusted cosmetic dentist. You need to communicate your expectations and consider treatment options he presents to you. You will also need to continue regular dental visits, to keep your veneers in good shape and your natural teeth and gums healthy. Once your porcelain veneers are in place, there are some things you will need to do to protect them. You need to remember that porcelain veneers can break or chip. You should not bite your fingernails, chew on hard candy, pencils, ice or other hard objects. It takes several days to get used to having porcelain veneers. You should contact your cosmetic dentist if your bite does not feel right after your veneers have been installed. Dr. Vafa can correct the issue with your bite before you leave your appointment, if it is needs adjustment. Although your veneers keep looking great despite drinking red wine, coffee and tea, you still must maintain them by brushing your teeth and gums clean each day. You should also floss daily. Remember that your veneers are only protective on the front surfaces of your teeth and you can still get cavities under or around them. When your porcelain veneers are installed, some tooth enamel is removed. So the procedure is not reversible. Color of your veneers is also permanent, once they are cemented into place. Although porcelain veneers are so popular because they are strong, they can still be damaged if you chew ice, bite your nails or chew on pencils. You will need to stop doing those things, to protect your new pearly whites. The West Hollywood dentist will prepare your teeth by removing some of the enamel from your tooth's front and side surfaces. This allows the veneers to adhere to your teeth with natural appearance and fit. A mold of your teeth, also called an impression, is made by the cosmetic dentist. He will also select the shade of porcelain that will best suit your smile. The dentist's impression of your teeth is sent to the dentistry lab where your porcelain veneers are custom crafted to fit your teeth. This usually takes several days, during which time you will likely wear temporary veneers. When your veneers arrive, the West Hollywood cosmetic dentist's office will contact you for your next appointment. During that appointment, your veneers are placed on your teeth and Dr. Vafa checks how they fit and look, making adjustments as needed. Your teeth are then cleaned to prepare them for your permanent porcelain veneers. The veneers are bonded to your teeth and you have a brilliant new smile. If your porcelain veneers need any adjustments, these can be made at future appointments. Dental veneers are not a complex procedure and do not involve surgery. 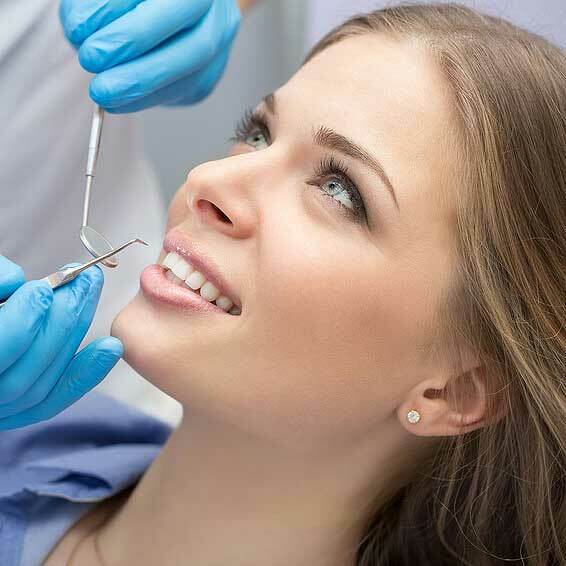 Your holistic and cosmetic dentist of West Hollywood Holistic and Cosmetic Dental Care will prepare your teeth for the changes that will be made. You will receive a local anesthetic while the enamel of your natural teeth is adjusted to suit the size and positioning of your porcelain veneers. This is where art meets science and technology in the dental office, as Dr. Vafa will use his skill to shape what will become your best possible smile. Dr. Vafa will take dental impressions of your teeth, send those to the laboratory and apply temporary veneers. You can then go about your regular routine while you await arrival of your new porcelain veneers for permanent placement. The cosmetic dentist's office will contact you as soon as your veneers have arrived, so you can come into the office and have them placed. Maintaining your porcelain veneers is as important as taking care of your natural teeth. You should continue to brush and floss daily as part of a healthy oral hygiene routine. If you clench or grind your teeth, you will need to talk to your cosmetic dentist about the possibility of getting a night guard to help you protect your veneers. No matter what your smile was like before you have porcelain veneers installed, you will enjoy beautiful enhancement with your veneers. Others will notice your bright and more ready smile, too. Porcelain veneers are widely sought after today. Patients of West Hollywood Holistic and Cosmetic Dental Care frequently request porcelain veneers and Dr. Bruce Vafa will be happy to discuss your options with you. Porcelain veneers can give you back a beautiful smile after your teeth have become broken, chipped, worn down, discolored or otherwise not as you would like. With West Hollywood porcelain veneers you can feel confident and rejuvenated. Contact West Hollywood Holistic and Cosmetic Dental Care now for your smile enhancement evaluation appointment.